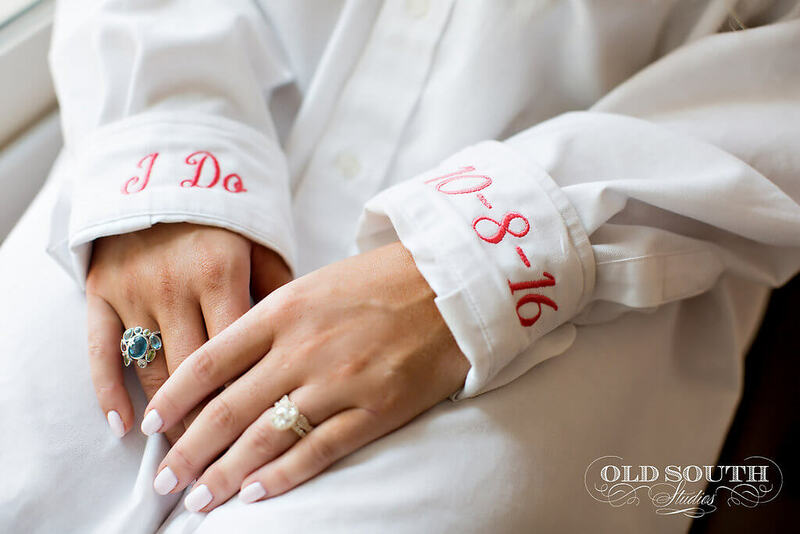 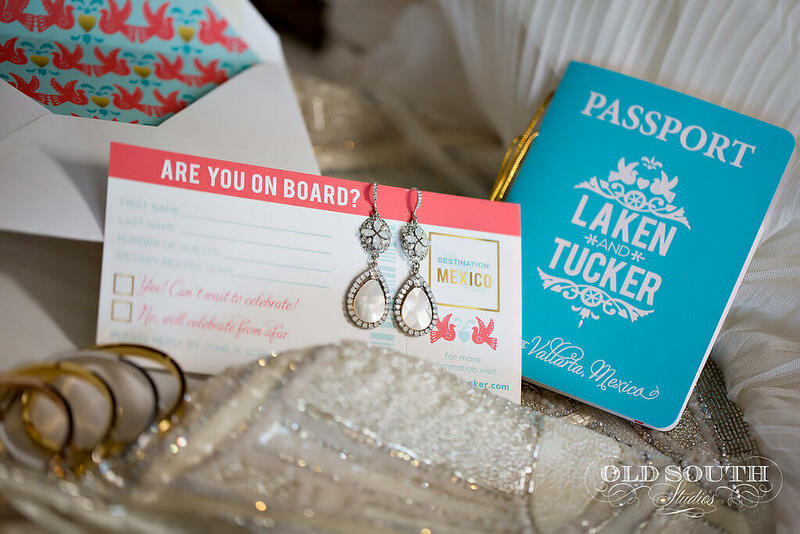 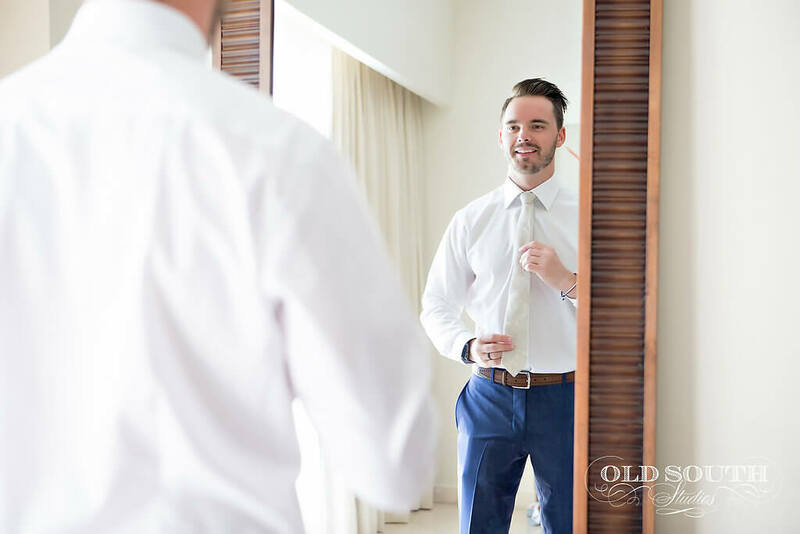 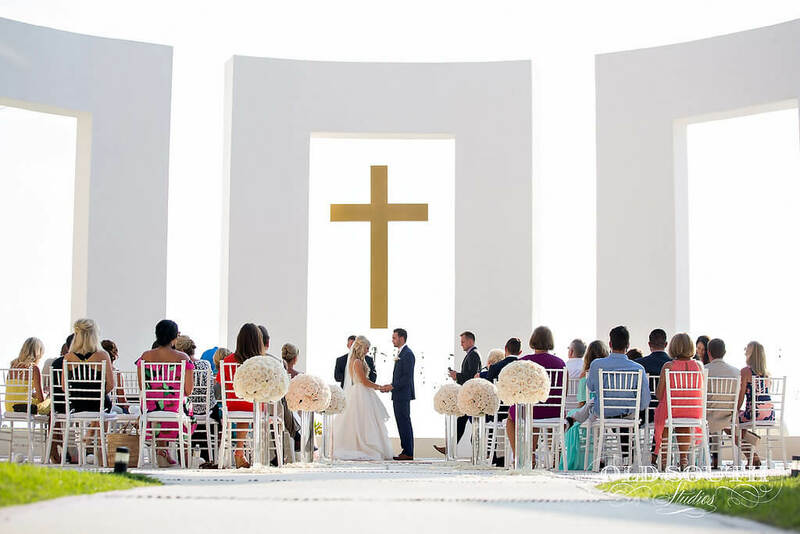 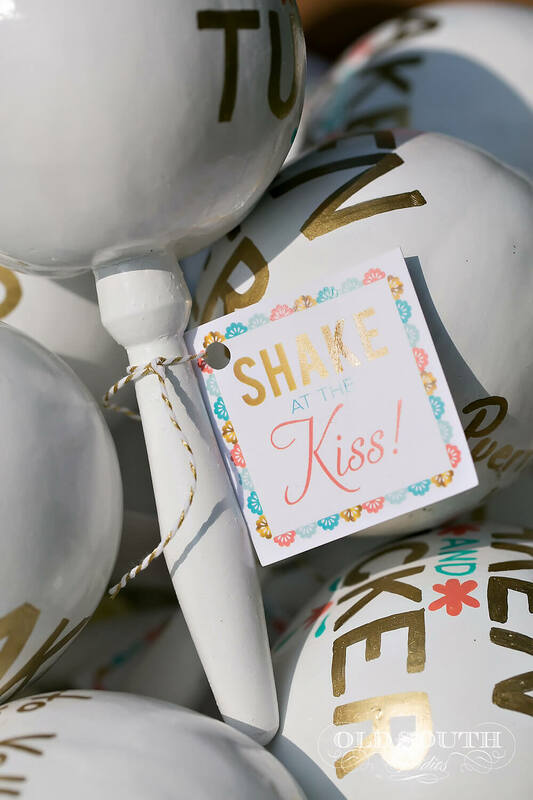 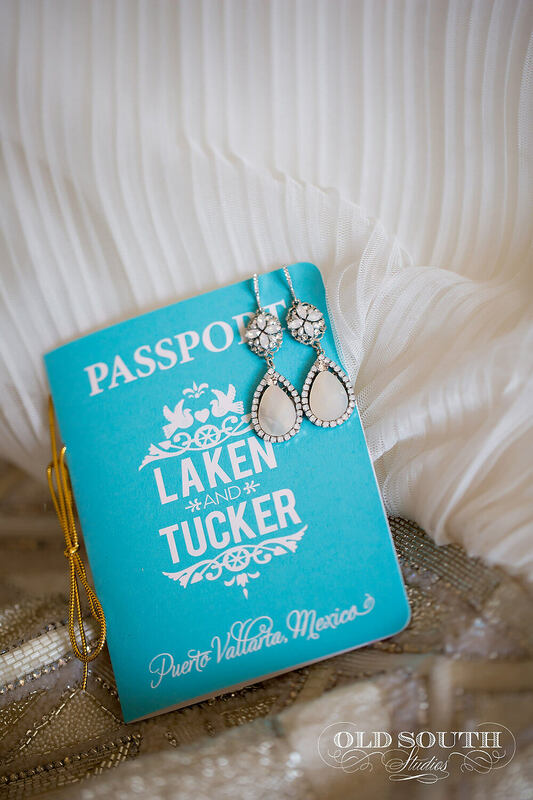 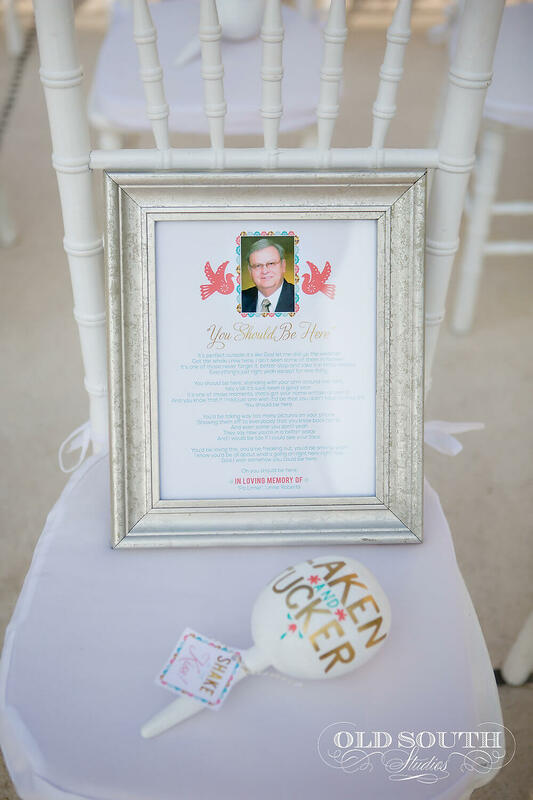 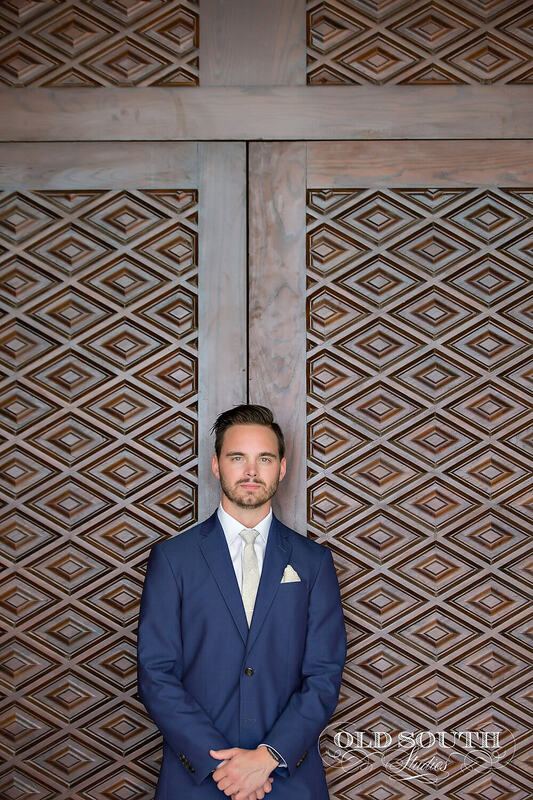 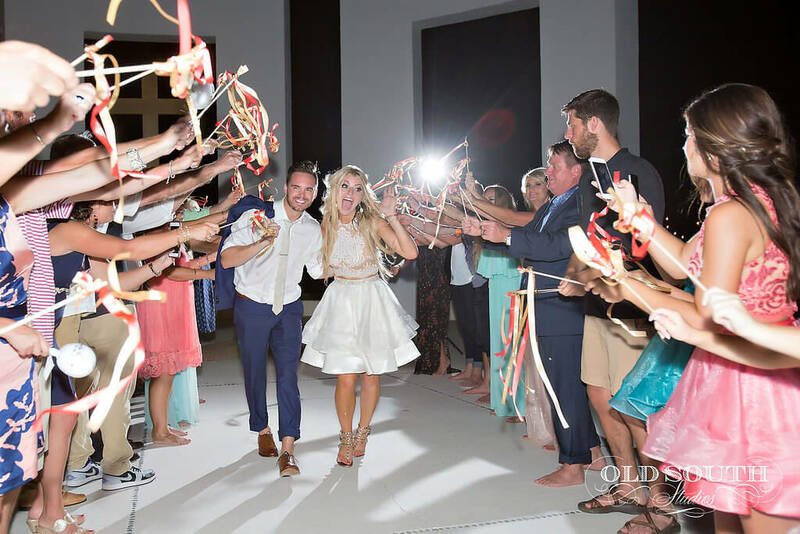 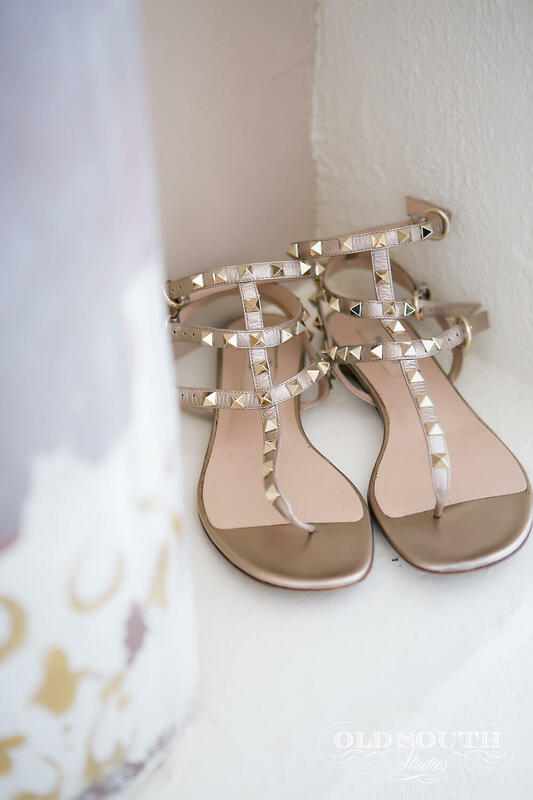 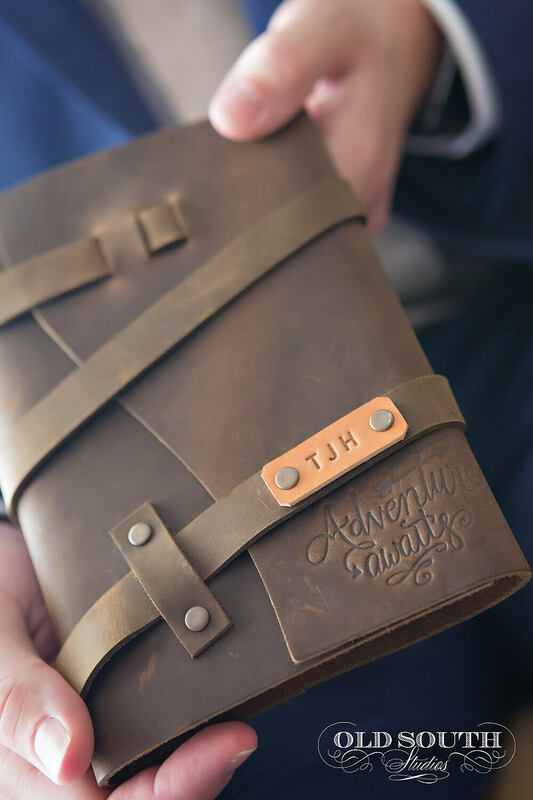 Grab your passport and boarding pass, because we’re ready to take off for this stunning Mexico beach wedding of Laken and Tucker’s! 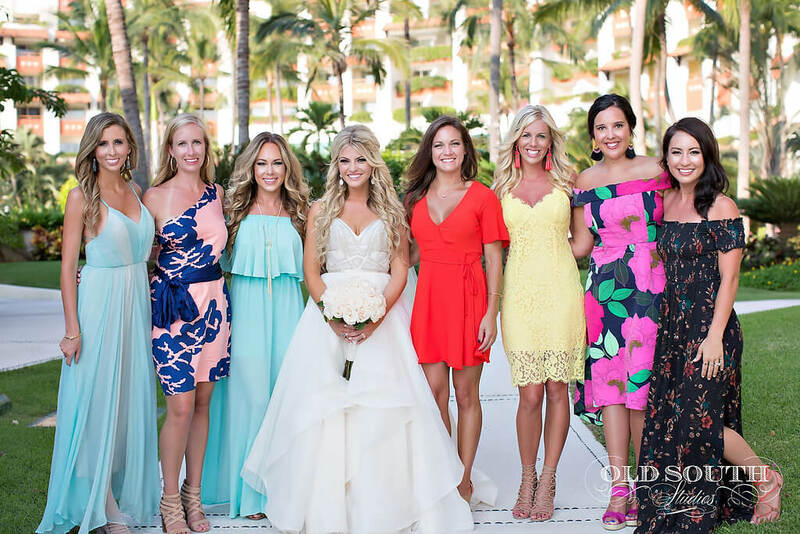 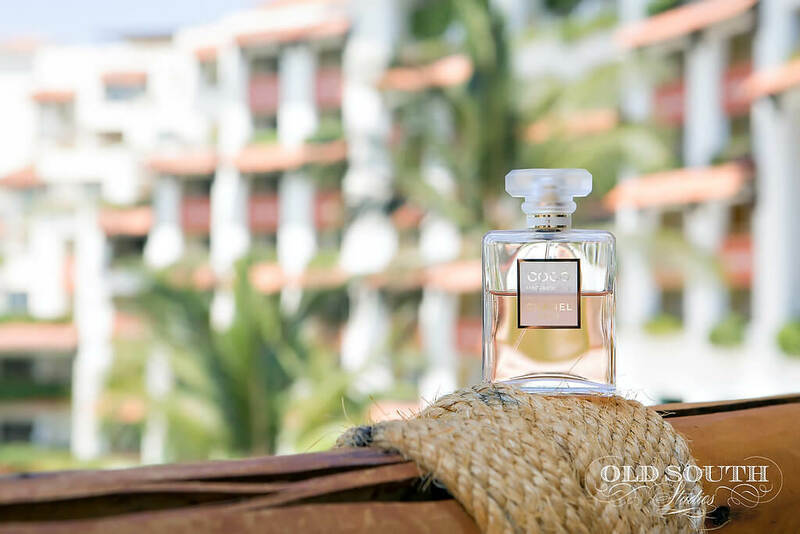 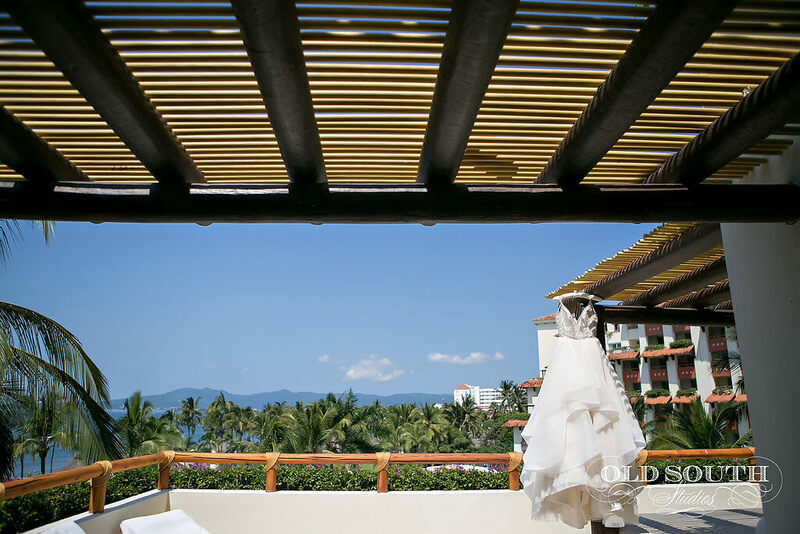 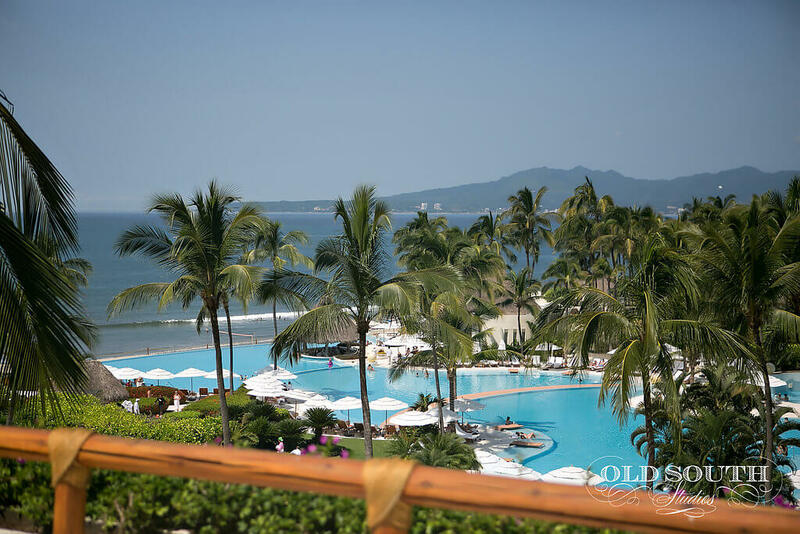 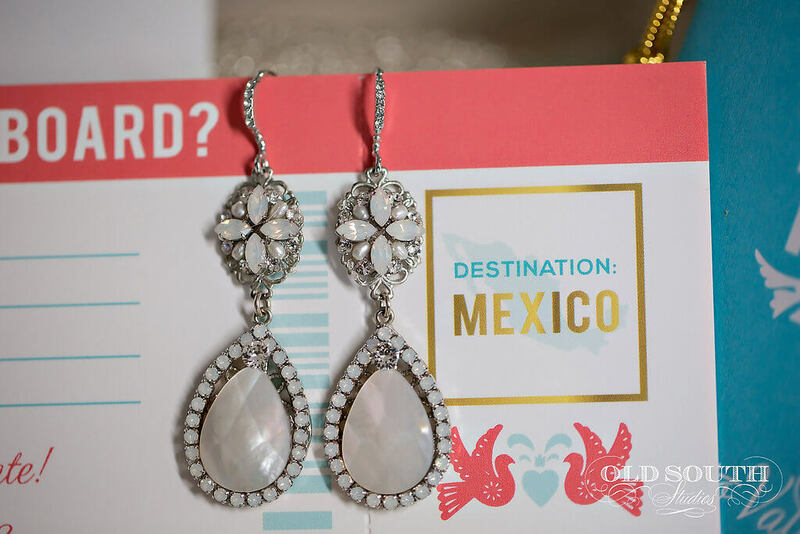 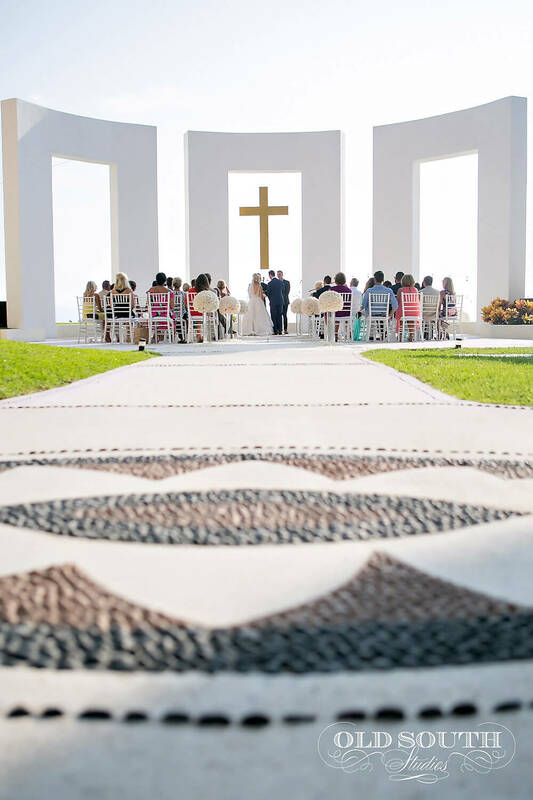 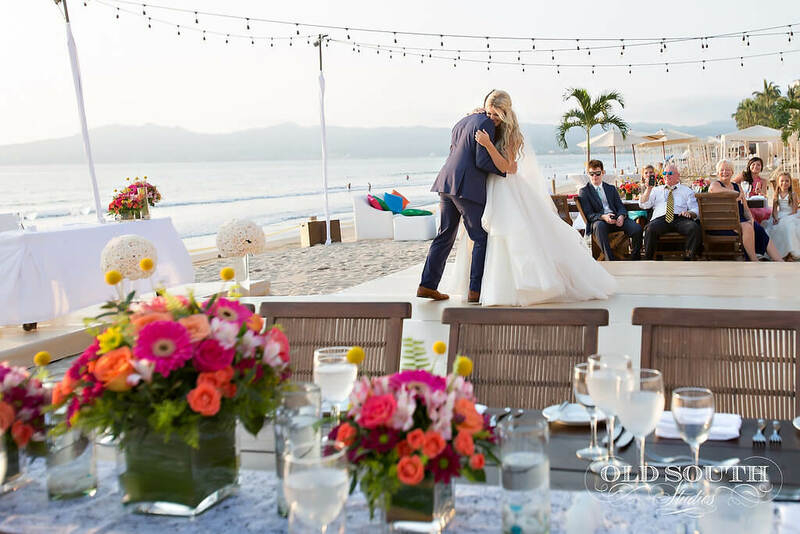 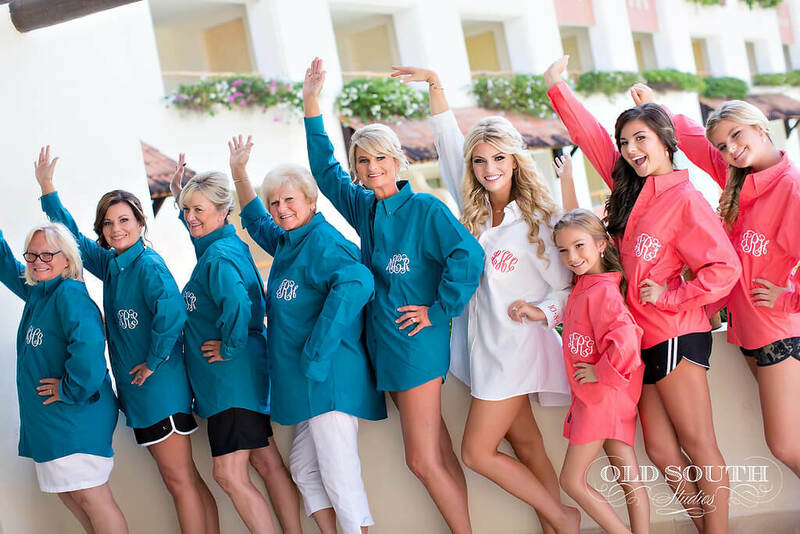 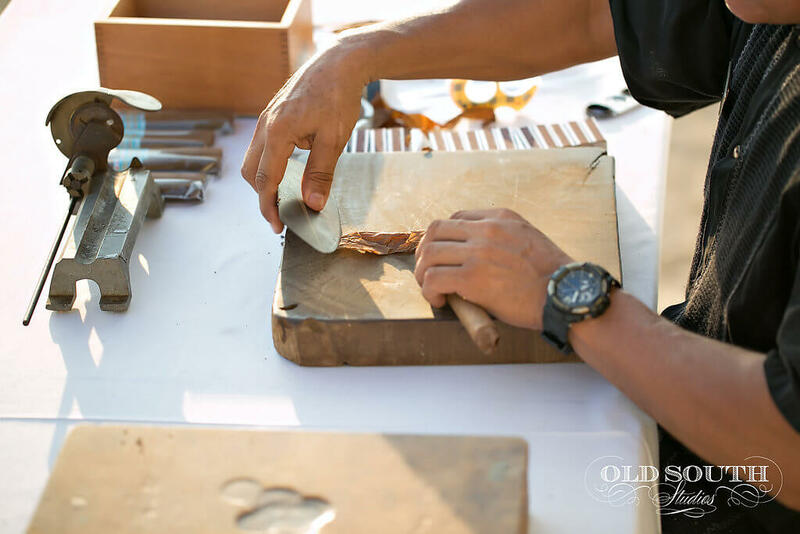 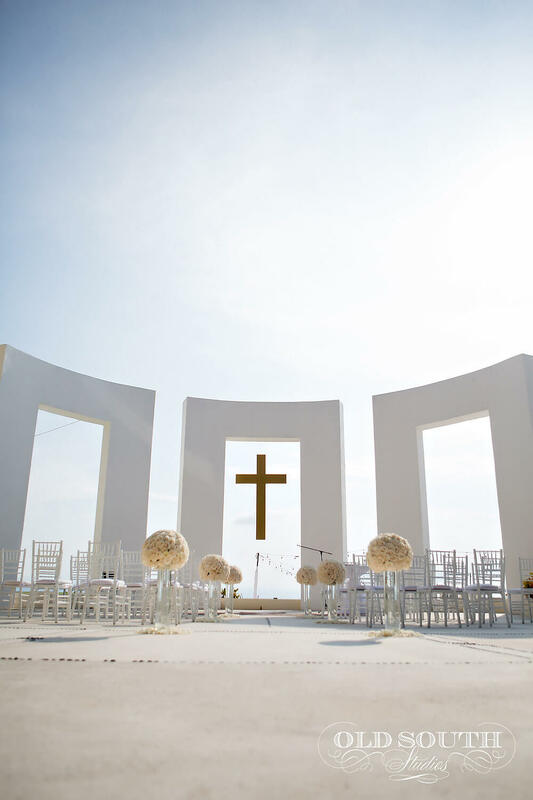 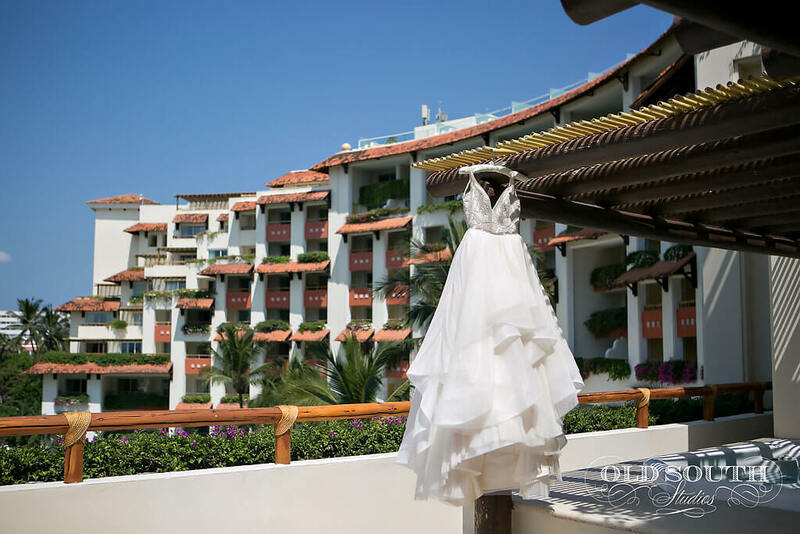 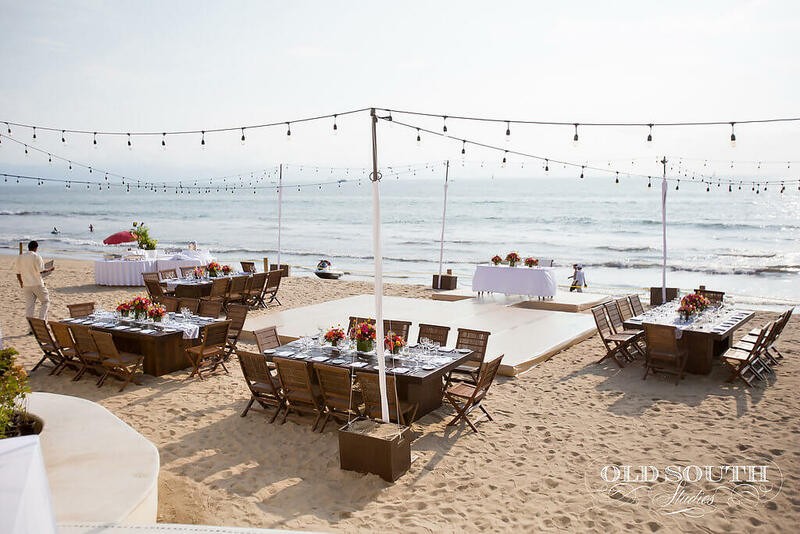 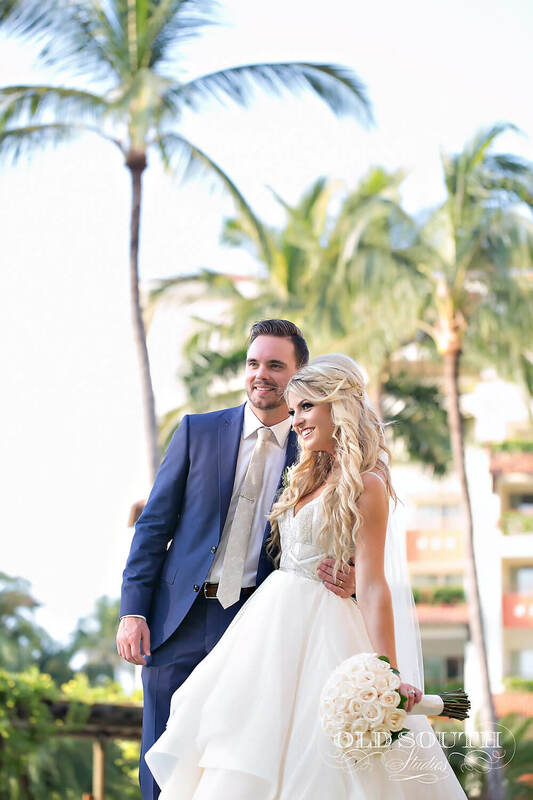 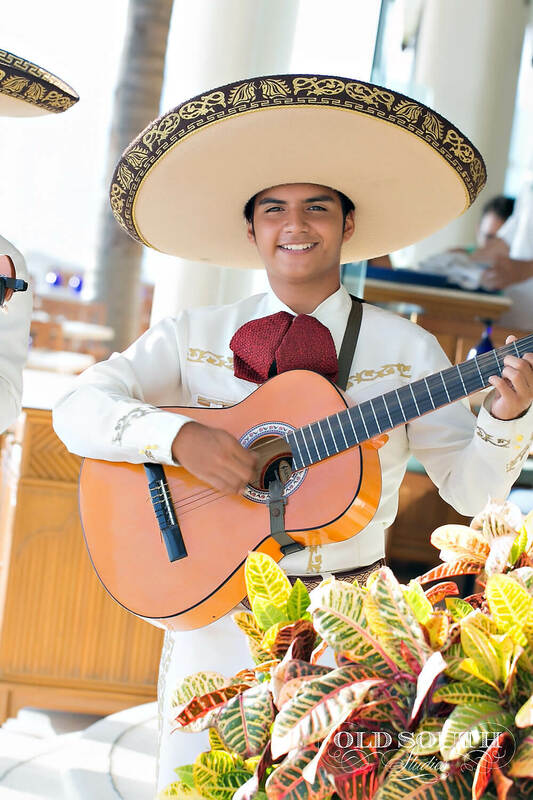 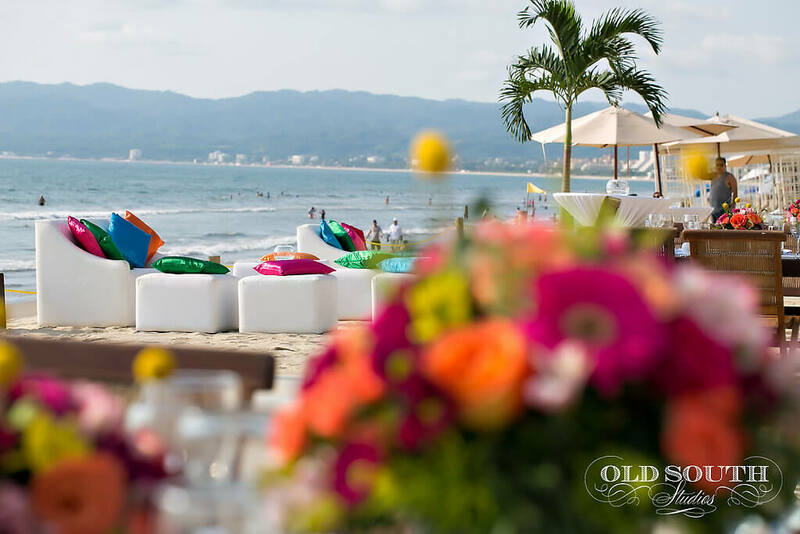 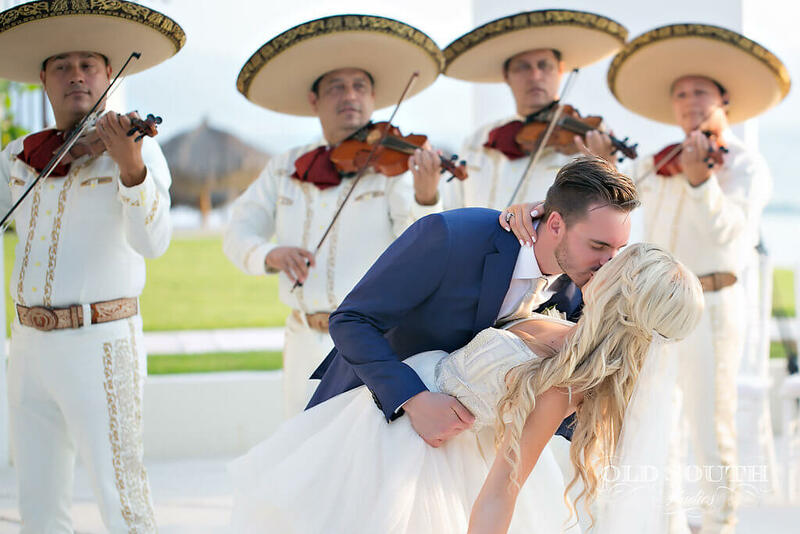 The destination for this Mexico beach wedding was the scenic sun and sand of Puerto Vallarta, Mexico! 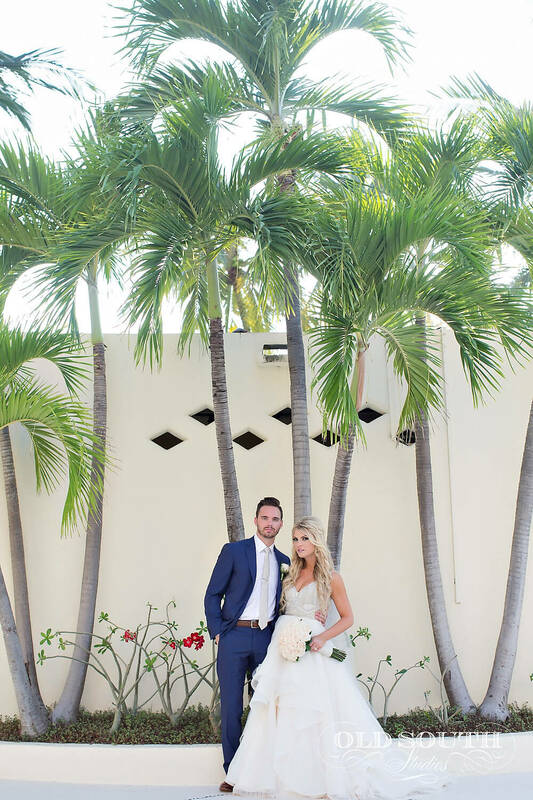 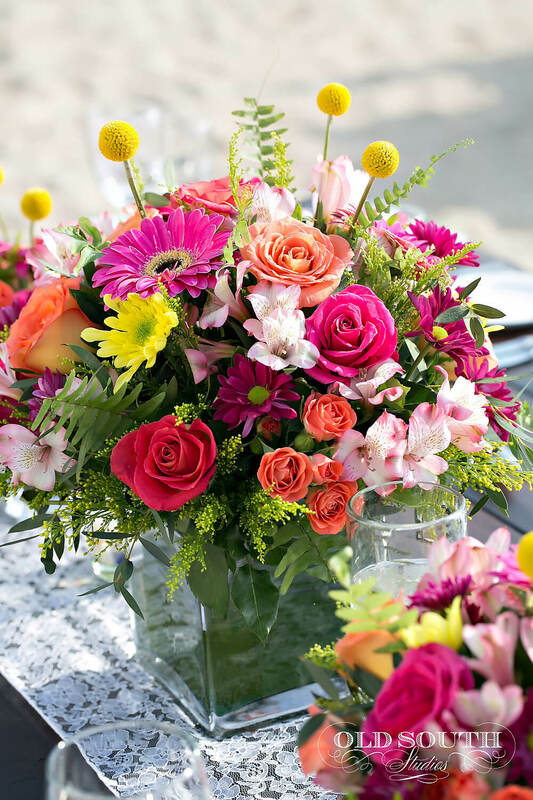 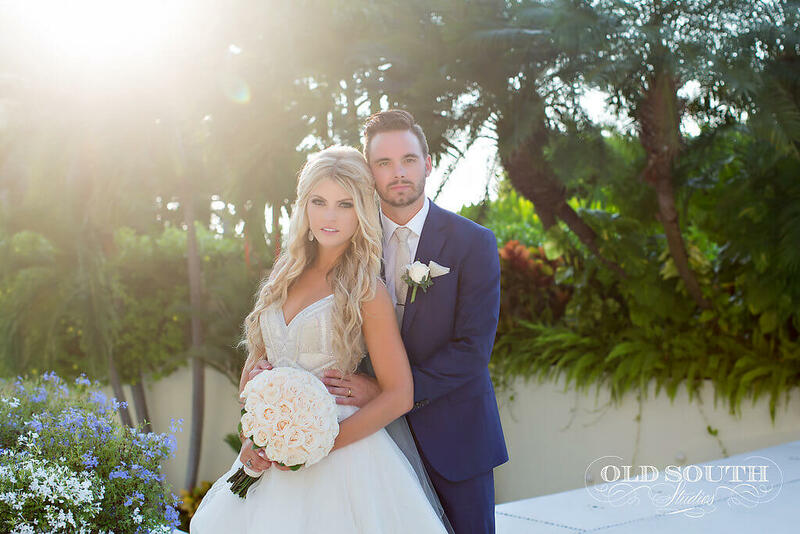 Pair the good looks of these two with the gorgeous surroundings, and you have on amazing destination wedding!! 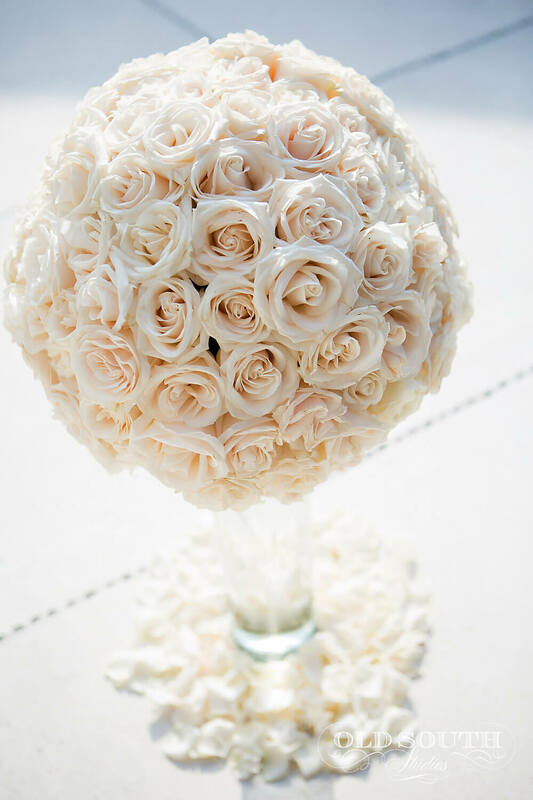 Laken wanted her wedding ceremony filled with white roses. 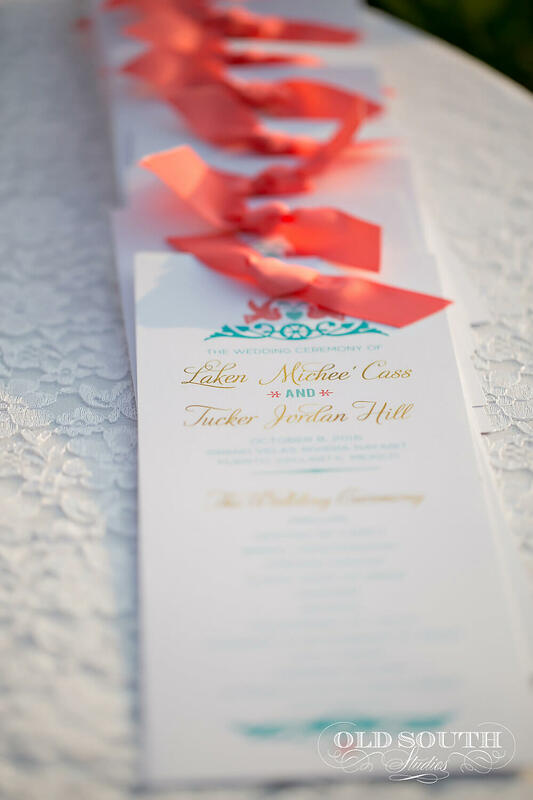 We threw in her signature colors of turquoise and coral on the wedding programs that coordinated with her passport themed wedding invitations! 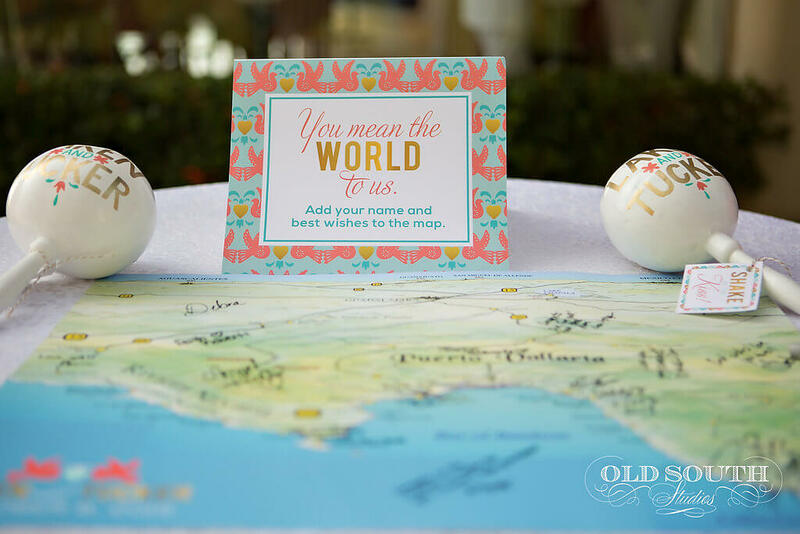 We love the Otomi style print we used as her envelope liner as well. 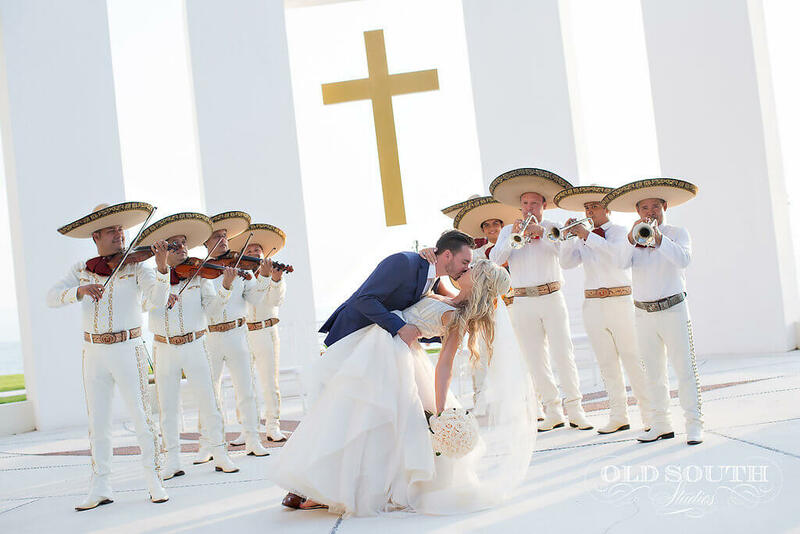 It has such a traditional Mexican culture feel and look! 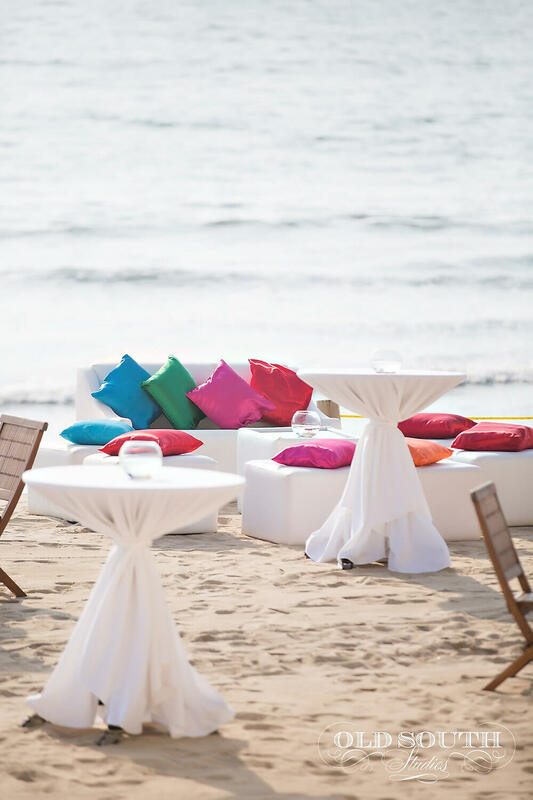 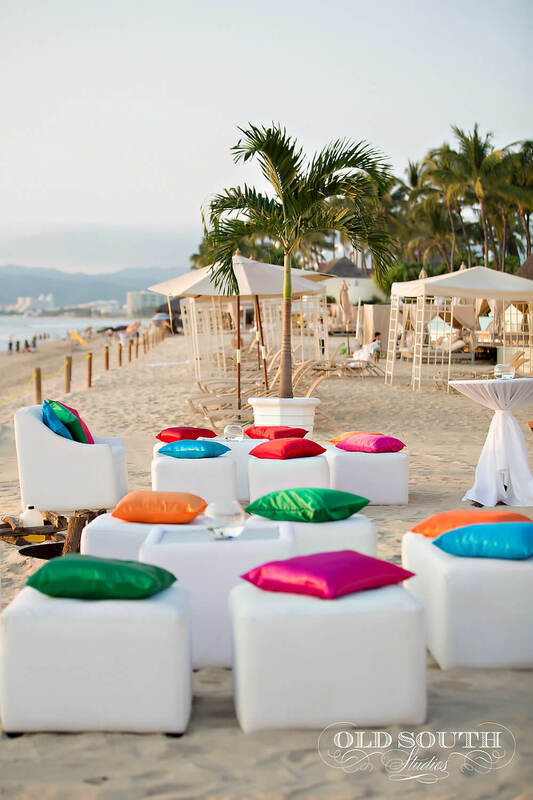 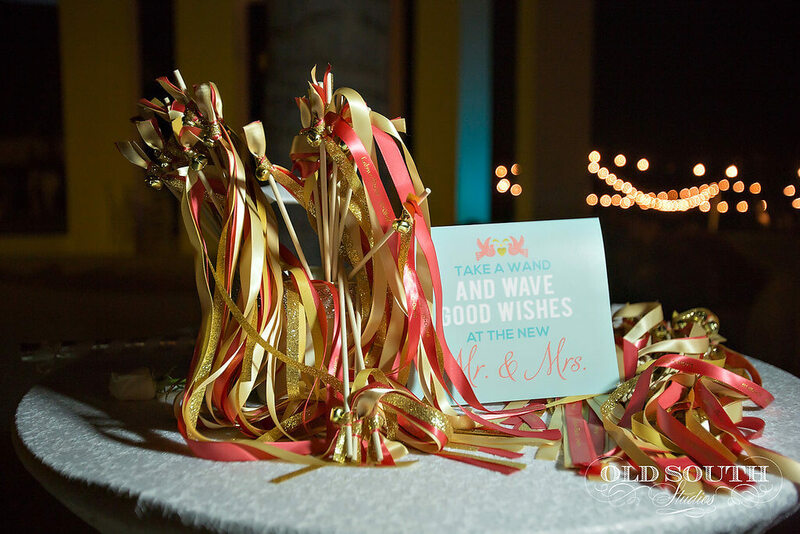 With colorful throw pillows strewn over white lounge seating and bistro lights, this family danced the night away at this Mexico beach wedding! 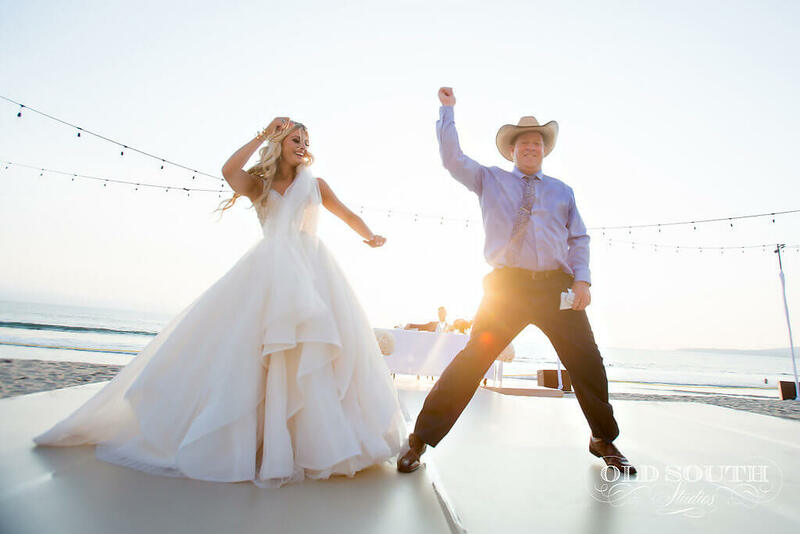 We would expect nothing less from this Charlotte honeybee dancer, Laken! 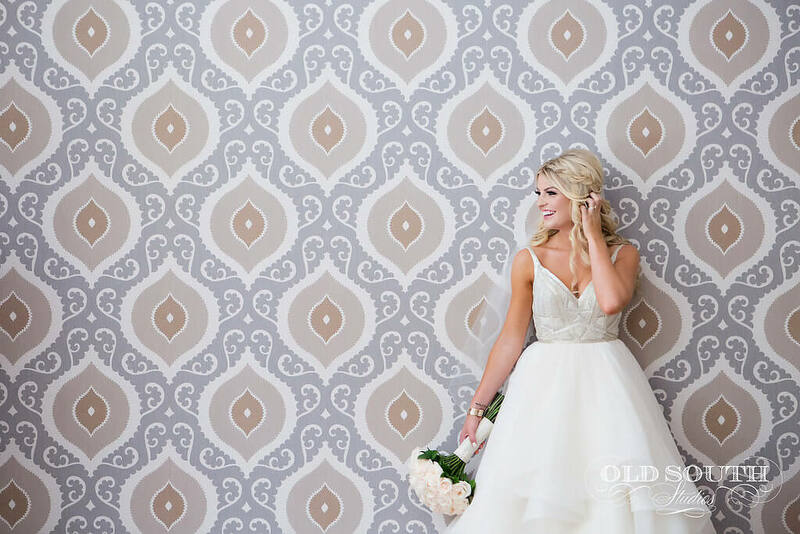 She is not only uber gorgeous but also an NBA dancer!